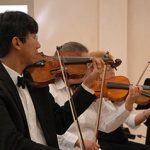 The newly-formed Fredericksburg Community Orchestras has elected officers and planned its performance and instruction schedule for its second season in 2011-2012. 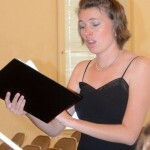 Executive Director Theresa Britt announced orchestra performances on October 29, at 2 p.m. at St, Barnabas; December 14 at St. Barnabas during the 6 pm service; and on a date to be determined in May, 2011. 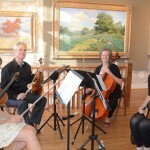 The group will again be featured during the Van der Stucken Festival on March 30, 2012, where last spring they premiered both the orchestra and an ensemble that gave the first U.S. performance of a composition by Fredericksburg native Felix Van der Stucken. The 501(c)(3) nonprofit also named officers. They are Phil Houseal, President; Kent Rylander, Treasurer; and Julie Alvarez, Secretary. 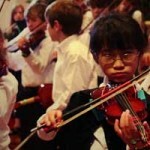 The Fredericksburg Community Orchestra, formed under the direction of Theresa Britt in 2010, is a non-profit organization dedicated to the advancement of string education in the Hill Country. 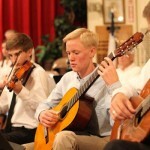 Based in Fredericksburg, the FCO offers opportunities for both performers and spectators. Rehearsals will take place at St. Barnabas Parish Hall two Fridays per month. A rehearsal schedule will be sent to interested string players. 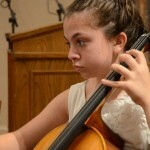 FCO offered its first Summer Strings camp this year, with 20 students participating. The group plans to add participants from around the state for the upcoming summer. Currently, the main activity is the general open ensemble, and an orchestra which consists of community members ranging in age from 12 to 75. 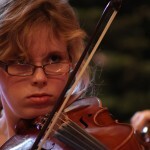 Most of these musicians are amateur cellists, violists, and violinists. Some have been playing for as little as half a year; others have played for many decades. 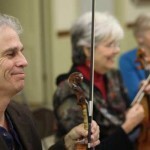 The purpose of Fredericksburg Community Orchestras is to promote string education in Fredericksburg and surrounding communities. The components comprise string ensembles, Suzuki Group Classes for youth ages 3 to 12, Community Ensemble for ages 12 and up, and a Chamber Ensemble of semi-professional players for special events. 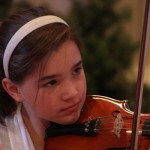 Plans include educational units that will bring classical music programs to area schools and churches. FCO also will offer scholarships for local music training, for high school seniors who go on to higher education, and for students studying abroad.